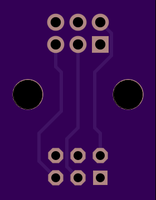 2 layer board of 1.28 x 0.60 inches (32.4 x 15.3 mm). Uploaded: February 27th, 2016 08:13. 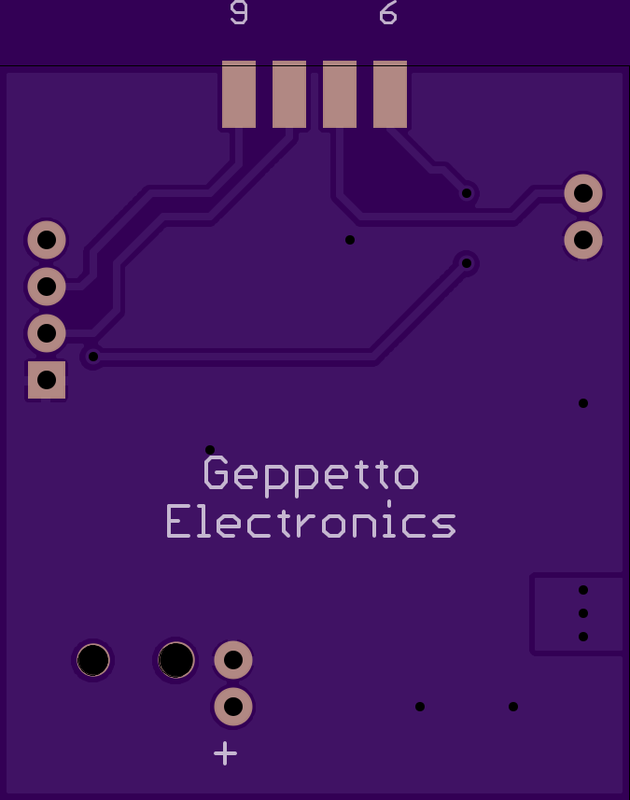 2 layer board of 6.00 x 0.50 inches (152.4 x 12.7 mm). Uploaded: December 30th, 2015 17:57. Uses the same firmware as the Tiny Blinky. Mount it on a dowel and twirl it between your hands and watch the lights trace out POV patterns. 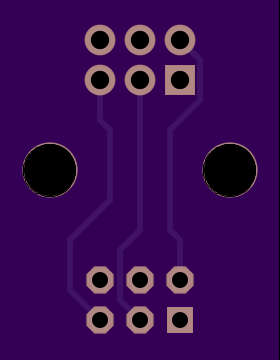 This version moves the battery inwards slightly to try and improve the balance, and moves the LEDs closer together to make better patterns. 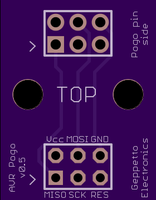 2 layer board of 1.35 x 1.58 inches (34.3 x 40.0 mm). Uploaded: October 13th, 2015 04:03. 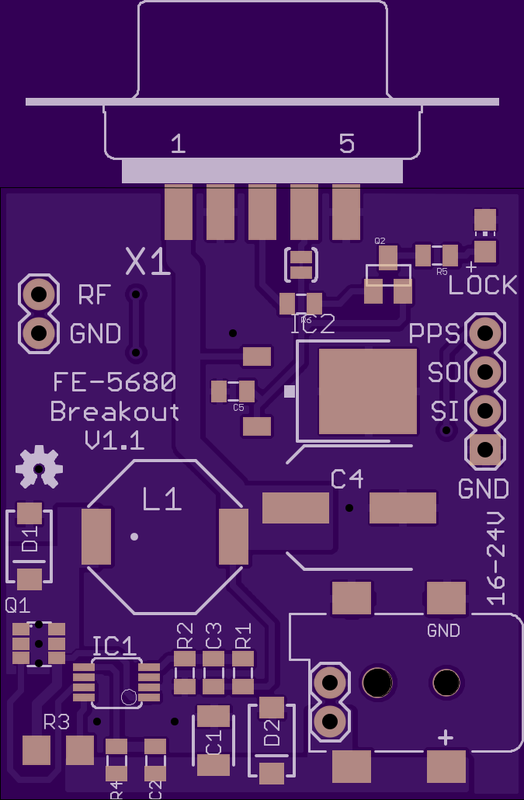 Rubidium standard breakout/adapter. Connect a surplus laptop 18V-24V DC power supply and it outputs +15V and +5V for the FE-5680 (the +5 can be disabled by breaking a jumper if your unit doesn’t require +5). 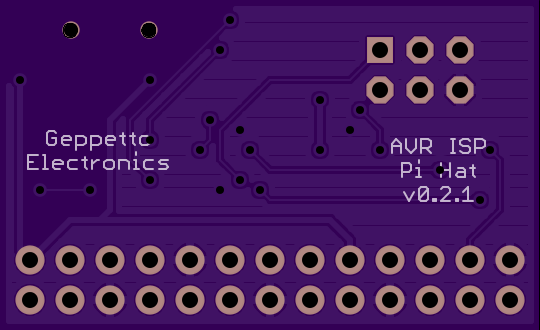 The PPS and serial I/O are presented on a SIP-4 and the RF output is on a separate 2 pin header. 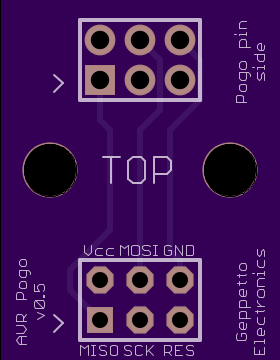 This is a modification of the Pi Power circuit. 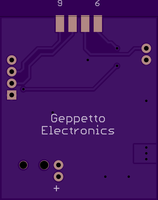 2 layer board of 0.70 x 0.90 inches (17.8 x 22.9 mm). Uploaded: June 23rd, 2015 02:18. 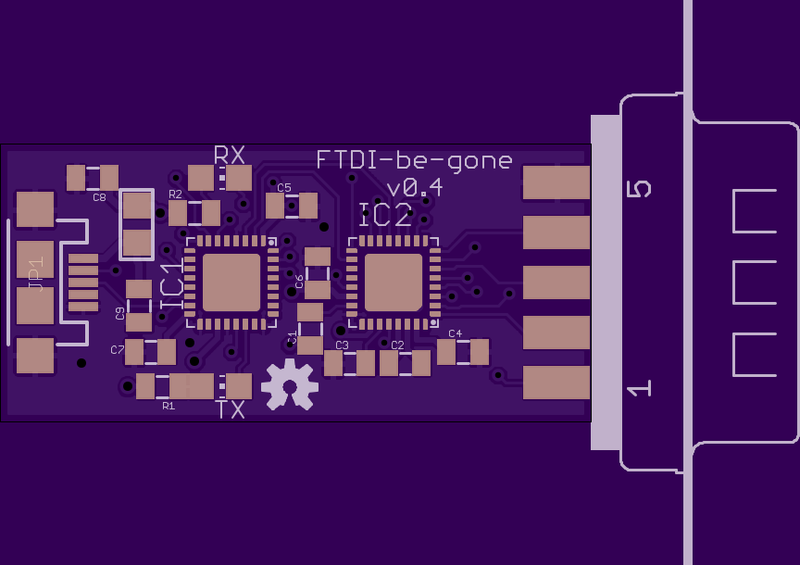 2 layer board of 1.35 x 0.83 inches (34.3 x 21.0 mm). Uploaded: June 10th, 2015 15:54. 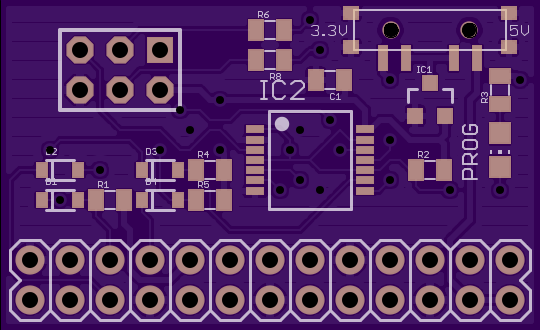 This includes switchable target power (3.3v/5v/off) protected by an AP2331 current limiter as well as a bus buffer / level shifter IC. There’s also an LED to indicate when programming is in progress.